If you're looking for a special piece of refrigerated equipment we have the proven experience to build it for you. Whether you're looking to rent a trailer from us, or you're looking to purchase one, we have the knowledge to build it specifically for your application. 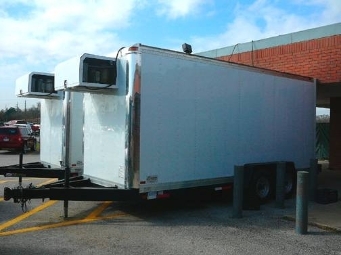 If you're needing to freeze your product in a short amount of time, or you're looking for a trailer/or box with 100% emergency back up, give us a call and we can build a reliable piece of equipment that will last for years to come. 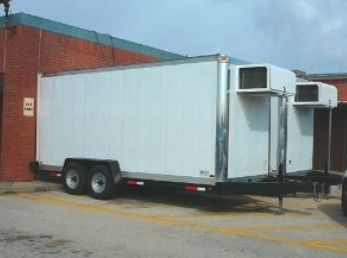 We also can build trailers with explosion proof equipment for chemical applications.